Launching a self-promotional lookbook is one of the simplest, quickest and most professional ways to advertise your new brand — but what exactly are these and how do you create one? Many people associate the iconic lookbook with models and designers from the fashion industry. However, it’s now a popular method of marketing in a variety of other professional industries. Focusing on striking images and minimal content, you get the opportunity to show your range in a way that’s sleek, stylish and professional. Think your start-up could benefit from a lookbook? Check out these tips and techniques on designing and creating the ideal lookbook for your new business. Take advantage of your chance to make a lasting first impression by creating a stand-out cover page. The objective of the front cover is to grab attention, which means you need to think: attractive image, excellent use of colour, and an appealing text to compel the reader to want to know more. Cover pages typically detail the month and year and, if it’s not in the title, you need to have your brand name and logo somewhere here, too. Nobody wants to read a book, magazine, catalogue, or anything else that isn’t in a sensible order. You want to create a good experience for your potential customer and making your lookbook flow without interruption is essential. To start, ensure that each related product or service is placed together or in the same section of your lookbook — try not to force the reader to thumb to and fro through the book to find items that might interest them. If you offer both goods and services, keep these separate, and try to section off connected articles into clear categories to deliver consistency and avoid making your lookbook appear disjointed. The advances in digital printing have significantly improved the aesthetics of lookbooks — so use it to your advantage! 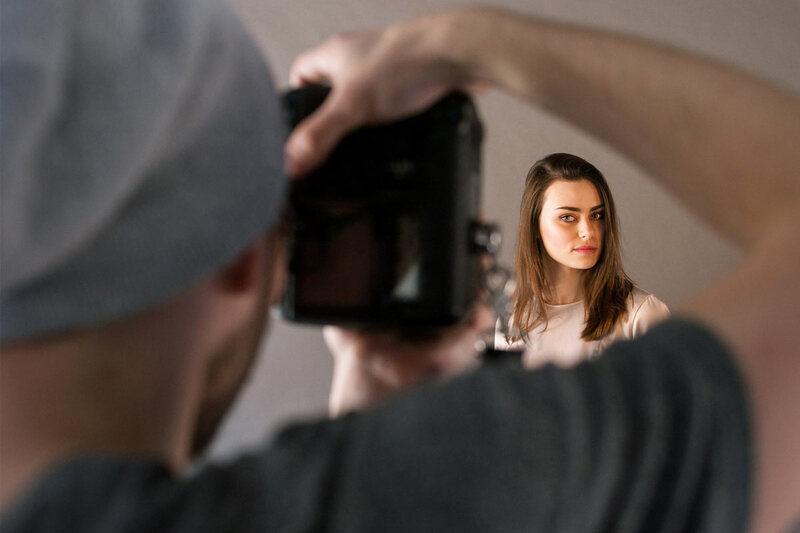 Make sure the photos you put into your lookbook are professionally-taken and of the highest quality, which means considering props, lighting, colour, setting, and image resolution for each shot. If this is one of your first print marketing campaigns, you don’t want any mistakes. Don’t underestimate the power of whitespace — a key photography technique that can help make your lookbook look professional and eye-catching. Not every image needs to run border to border and whitespace is used to create a focus point and highlight a particular part of the page — use it sparingly, though. With limited funds, you might be wary of hiring a professional photographer. However, if you can spare the cash, it may make all the difference. Otherwise, ask a tech-savvy person on your team to give it a go or do these yourself, but just remember to check that you have exclusive rights for everything you include if they aren’t all original images. While a lookbook is, by name, all about the imagery; it’s nevertheless critical that you invest time and effort into writing accurate, enticing and engaging copy. Essentially, a lookbook will feature product/service descriptions and — if you’re a start-up — perhaps a brief brand description so everyone knows what you’re about. Be interesting, succinct, informative, and attractive — make the reader want to give you their custom! Copy is also a chance to engage further with your potential customer. Use professional language to convey your reliability, but try and adopt a chatty tone to come across as approachable. Try to avoid using very long words and sentences — these are stuffy and clumsy — and keep your product descriptions between 30 and 60 words in length to avoid taking focus from your lookbook’s images. Once you’re sure you have included all the information your customers need, it’s time to find and correct any mistakes — there’s sure to be a few. Proofread your copy, scan photos for anomalies and verify product names and prices. Once this is done, contact your print agency and get a quote. Chat to them about the type of paper stock and finishes that might look good and ask to see a few samples to get a better idea. The worst scenario would be to put so much time, money and effort into designing the perfect lookbook, only to have it ruined by opting for a cheap paper or poor finish. As soon as it’s back from the printers, get your lookbook out to as many potential customers as you can! Sending out a well-designed and expertly printed lookbook is a great way to spread the word about your new brand in a professional manner.